Summer 2014: Every day except Tuesdays...Wed to Mondays from 11 to 4 pm. Always check website. 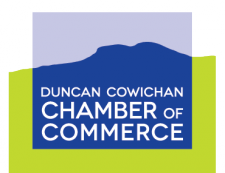 Visit us in the heart of Cowichan Bay. Cowichan's most award winning winery that is true to the region and sustainable. Great Wines. Great People. Great Experiences. We are a family run business that started off differently and continues to be innovative in their farming practices as well as the product. We also have beautiful outdoor areas to enjoy a glass or even a flight of wines. Gardening is our second love after the vineyard and want to really develop our gardens each and every year. 1 km off the Trans Canada Hwy. South of Duncan, towards Cowichan Bay. Turn east on Koksilah road at the lights, go up the hill and turn right on Parker Road. Follow to Myhrest Road, turn right.